Kelly Craig is a microbiologist who’s responsible for screening and expanding AgBiome’s microbial collection. Prior to joining the microbiology team, Kelly worked as the media specialist preparing high quality specialized media, buffers, and agar plates. 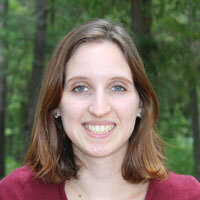 Kelly is currently a graduate student at North Carolina State University working toward a M.S. in Microbiology. She received a B.S. in Agriculture and Environmental Technology at North Carolina State University in 2015. During her time as a student, Kelly was a laboratory technician at the Plant Disease and Insect Clinic. She was responsible for the plant diagnostic process including ELISA, Biolog, culturing on special agar, and microscopic examination.